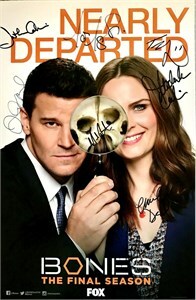 Bones 2016 Comic-Con 11x17 inch exclusive poster autographed in black or silver marker by stars Emily Deschanel, David Boreanaz, TJ Thyne, Michaela Conlin, Tamara Taylor, Eugene Byrd and John Boyd, as well as executive producers Jonathan Collier and Michael Peterson for a total of 9 signatures. 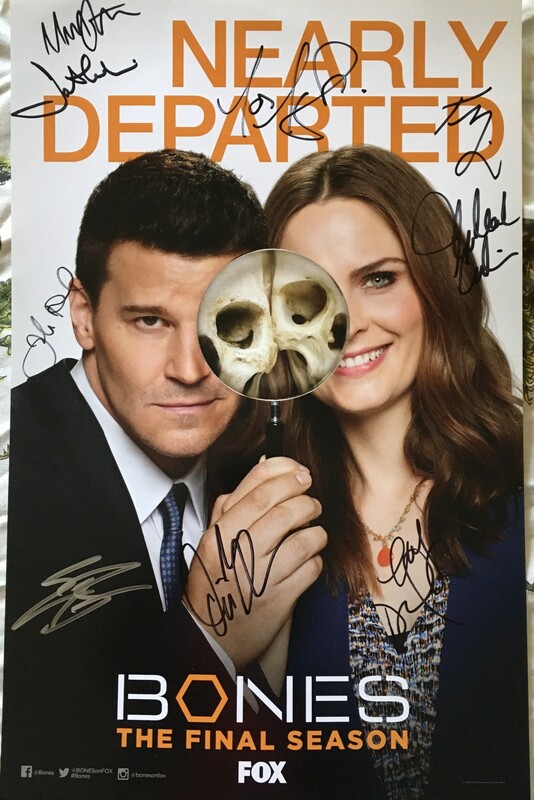 Obtained at very limited 2016 Comic-Con signing, with photo from the signing and certificate of authenticity from AutographsForSale.com. ONLY ONE LEFT.